← 60 Seconds to Begin CPR – Go! 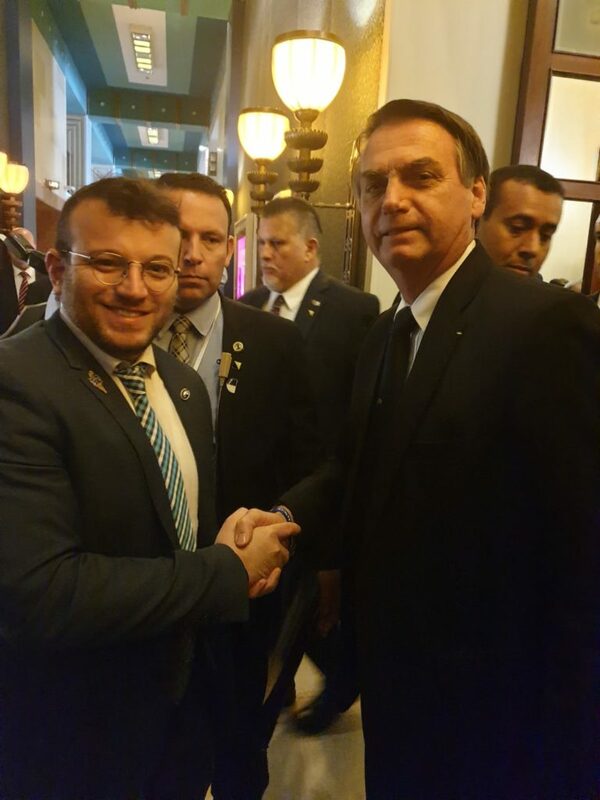 CEO of United Hatzalah Moshe Teitelbaum met with Brazilian President Jair Bolsonaro and his entourage on Tuesday morning in Jerusalem and presented the United Hatzalah model to them, emphasizing how its cost-free system has democratized access to emergency health care. The President was impressed with the lifesaving model and technology of the organization and the network of volunteers it fields. Of particular interest was how the technology allows the volunteers to respond to emergencies and begin treatment well in advance of the arrival of ambulances. Bolsonaro instructed his representatives to study the organization and see if the model could be adopted in Brazil. The presentation took place as part of an official meeting arranged by the Israeli government during which eight Israeli innovative organizations and startups were chosen to present their work. 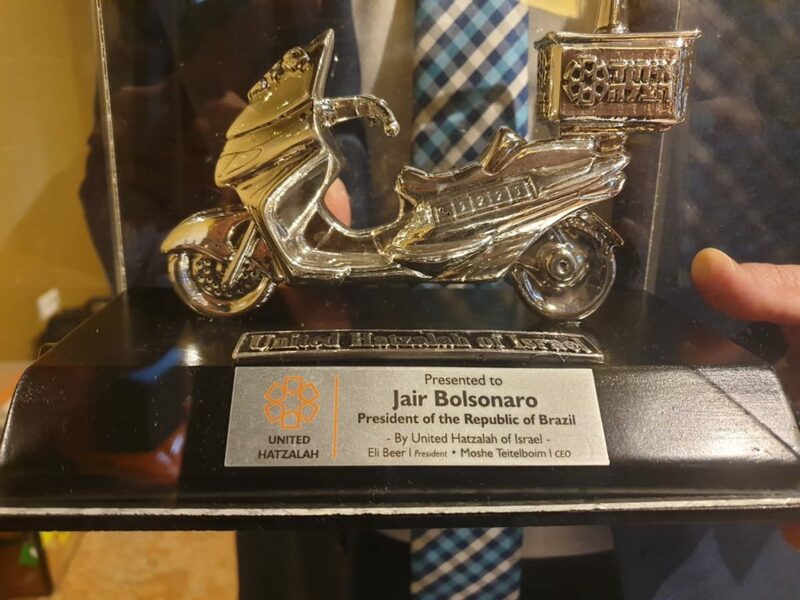 Teitelbaum presented Bolsonaro with a present in the shape of an ambucycle made of silver. This entry was posted in Uncategorized and tagged Brazil, EMS, EMT, Israel, President Bolsonaro. Bookmark the permalink.